Looking for the best roach sprays in 2019? So How Do Roaches Get Inside Your House In The First Place? How Does Roach Spray Actually Work? 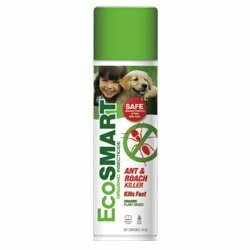 Why Should I Even Use Spray For Cockroaches? Are There Any Homemade DIY Spray Options Available? The Important Question, Are Sprays Safe For My Children & Pets? What If The Spray Doesn't Work? So, Which Spray Is Right For You? Short on time? Take a peak at our top picks. Interested in learning more? Keep reading for in-depth reviews of all the best products! Feeling that familiar sense of dread after opening up a kitchen cabinet to see a small, shadowy figure scurry out of the light. The feeling of disgust when one pops into the pantry for a snack only to see the unnerving twitch of antennae hits us all the same. When you realize that you have cockroaches in your home--be it just a few or a whole infestation--the urge to panic is a natural reaction. However, don't lose your cool just yet! Roaches are such a common problem in this day and age, and it's easy to take control of your home from these pests with the right tools. Many methods to exterminate roaches exist, but the most commonly used way to rid your house or apartment of these pesky bugs is with a roach spray. Why is a spray so effective? 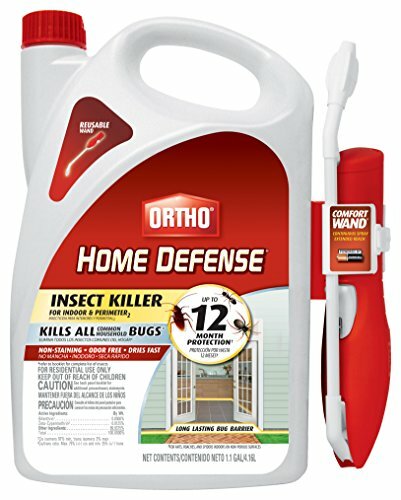 Well, in addition to killing roaches on contact in most cases, (1) sprays are easy to obtain, (2) even easier to use, and require minimal modifications to normal life within the home during use. Which spray is the best choice for you? With such a competitive market, it's difficult to decipher the type of roach spray in which you should invest. We've got your back. In this article, you'll find all the information you need regarding what kills roaches and their eggs, ways to get rid of roaches fast, the effectiveness of home cockroach treatment, and of course, the best roach sprays available. This is a common question among those who have newly discovered an infestation in their home. Most of the time, there's a stigma attached to roaches: that these insects only gather in filthy, unsanitary places where they can feed off of exposed food. While this is certainly the case in areas that are unkept and not properly maintained, it doesn't mean that this is the ONLY way to attract roaches. More often than not, these pests just want a warm place to find food, and they end up sneaking in through minute cracks in the structure of a home. Roaches are able to flatten their bodies almost instantly in order to squeeze through a crevice, which means that even the smallest of openings can be a door for a cockroach. Unfortunately, not much can be done to prevent these pesky insects from entering a house or apartment, because it's nearly impossible to search your home for any possible hole that could let roaches inside. Furthermore, once you've become host to a few roaches, it can be difficult to tell that they're actually in your home. Roaches love the dark, and thrive in small cracks of home surfaces like inside walls, baseboards, and under furniture. Oftentimes, the only evidence of a roach is the unsettling twitch of antennae protruding from a small space. This is dangerous, however, because roaches leave a trail of potentially toxic secretion wherever they go. This means, essentially, that if you have roaches, they're streaking a possible poison through your home. After having survived many millennia without extinction, they're often cited as some of the planet's most resilient organisms. When faced with this fact, many people think they don't stand a chance against this versatile type of bug. Undoubtedly, you've heard that sprays can do the trick to get rid of these household pests. But, you may be thinking, when roaches have outlasted other animals for thousands of years, how can a simple spray kill them in a home? Roaches breathe through millions of microscopic pores in their exoskeletons, which create a perfect delivery system for poison. Roach spray uses a chemical agent that effectively stops the nervous system of the roach, either at first contact or via a slow-release weakening of the roach's body. When you've got the proper spray and you're using it correctly, you can cleanse your home of these unpleasant creatures. Here's quick video to help you out when trying to learn how to use sprays for your roach problem! With so many different types of products to kill off roaches, it can be dizzying to know what to choose for a roach-free home. From cockroach killing gels to roach bombs and even poisonous roach baits, the choice isn't always clear to the average consumer, especially when strapped with the stress of knowing that you've got these insects crawling through your house or apartment. The primary reason that most people select roach spray over any other method of extermination is that it's not toxic to humans. Secondly, roach spray can be found in nearly every grocery store, and is readily available from online retailers like Amazon. Most importantly, you don't need to be a professional exterminator to be able to spray your home and kill off your roach problem. Most sprays are designed solely for at-home use, giving you the power to clear out the roaches yourself, no exterminators involved. In a time where the notion of self-service is the way to go, it's not recommended to take a "DIY Get Rid of Roaches" route. Despite the growing trend of all-natural, chemical-free cleaners and household agents, these types of homemade roach killers can end up doing more harm than good in your home by attracting EVEN MORE roaches. Whether you're using citrus extracts, spiced oils, or cucumber peels, you'll achieve the same result: the roaches will crawl over these obstacles and scuttle away, leaving their trail of secretion behind them. This will only lure in more roaches, which compounds your problem. When you clean up the homemade cockroach killer, you're exposing yourself to the secretions, which are rampant with biological toxins. It's a lose-lose-lose situation. So, how can a chemical that's deadly to roaches be safe for humans? Will my pets be safe in a home that's been sprayed to kill insects? Do I need to evacuate my home in order to fully rid it of these unwanted pests? These common questions are completely natural. However, roach spray truly is the safest and most effective option for eliminating these insects in the home. Well, the main reason lies in the sheer size of humans and pets. Of course, if ingested in a large quantity, roach spray would be harmful to larger animals and humans. However, roaches are small, and need only a small dosage of spray in order to die. The amount of the chemical agent that is present in roach spray would have to be multiplied thousands of times over to replicate the results in a body as small as a cat or a baby. Also, the holes in the roach's exoskeleton deliver the poison faster than by way of ingestion, which in turn creates the fatal effect. In humans or pets, the journey from the mouth to the body would weaken the chemical agent to a point of uselessness. As long as you store the roach spray in a safe place away from pets and small kids, there's no way that the amount of spray will reach toxic levels. If you've been dealing with roaches for a while to no avail, it's easy to think that these critters have already won the battle in your home. However, don't give up hope! Sometimes, a little patience is key in keeping up the fight against household roaches. Many roach sprays will offer a kill-on-contact guarantee, but some species of roaches have evolved to repel this kind of poison. The underlying effectiveness of most roach sprays is to create a slow-release, long-lasting toxin that not only kills existing roaches, but creates a toxic barrier against new roaches from inhabiting your home. If a roach has laid eggs, these eggs will be resistant to roach spray. Because of this, it can feel as though a spray isn't working when really, the original adult roaches are long gone and the roaches crawling around are from eggs that have hatched. Be persistent, be patient, and keep on spraying. Here are our top five recommended cockroach sprays! Enjoy. With a few simple clicks of the nozzle, you're on your way to a roach-free home. This roach spray contains Nylar, which is a chemical that regulates the growth of insects. This comes in handy when you're dealing with the possibility of roach eggs, since Nylar will inhibit the hatching of eggs and kill your pests for up to six months. 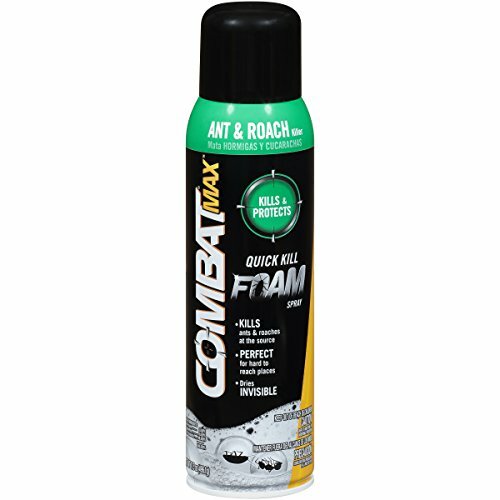 Since roaches love tight spaces, this product is one of our top recommendations. The container of spray is equipped with a battery-powered wand which allows the user to reach into crevices where roaches could be hiding and spray with precision. Not only will roaches be killed with this product, but their secretions will be wiped away as well. This benefit is two-fold: your home will be free of the disease-filled sputum left behind by the roaches, and the pheromones which attract new roaches will be neutralized. What makes this roach spray most effective (and most unique) is that it rapidly morphs from spray to foam. The foam will expand into cracks and small openings, which work to essentially down roaches in poison. No one wants to deal with roaches. When these creepy crawlies infiltrate your home, it's human nature to want to pay a professional to get rid of them. However, with the roach sprays recommended in this article, it's clear that calling in the professionals is largely unnecessary. With the right roach spray at your disposal, you can say goodbye to these household pests once and for all. So, which product to we recommend overall? To us, the choice is clear: Bengal Roach Spray is out top pick when it comes to killing roaches. This is a tried-and-true brand that sticks to its word and delivers on its promise of a roach-free home. The spray won't cost you an arm and a leg, and you'll be able to utilize it while still keeping a balance of normalcy at home. 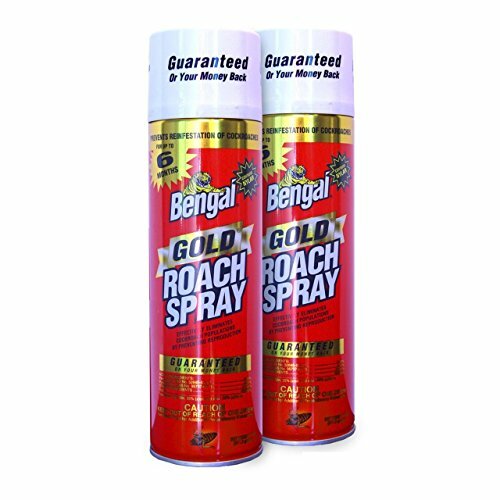 I have used Bengal Roach spray at two different properties and it does work, however you may need to use a second can to finish the job. Oddly, the can label says you may need to spray monthly to prevent a re-infestation, while online product descriptions say every 3 months, and in this article, it says 6 months. I believe 3 months is probably enough, but this could vary depending on outside ground conditions where the bugs could be deeply embedded in your foundation. After spraying for a week or so, you should see a 95% reduction in roach activity. After that, I suggest sealing any cracks and holes around baseboards and cabinets using a roach repellent putty that will act as a long-term barrier. Using both of these in combination is the best overall approach and only minor re-application will be needed.